These oil free vacuum pumps are light weighted, easy to operate, easy to install and are portable. Our vacuum pumps are offered in innovative designs for use in various research and manufacturing plants. These can be gained from us at comprehensive price range. 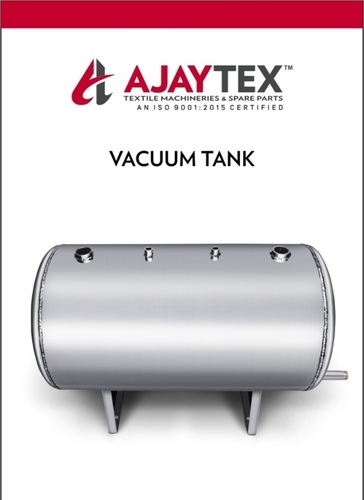 Incepted in the year 2001, we “Ajay Tex”, are a Proprietorship Firm, engaged in manufacturing, retailing, trading and wholesaling excellent quality Dyeing Machine, Hydro Extractor, Dye Spring, etc. We also provide maintenance services to our valuable clients. Located at Bhiwandi, (Maharashtra, India), we have developed a state-of-the-art infrastructural facility. Under the valuable management of our Mentor “Ajay B Patil (Proprietor)”, we are successfully going ahead in this competitive market. We are also provide maintenance service.